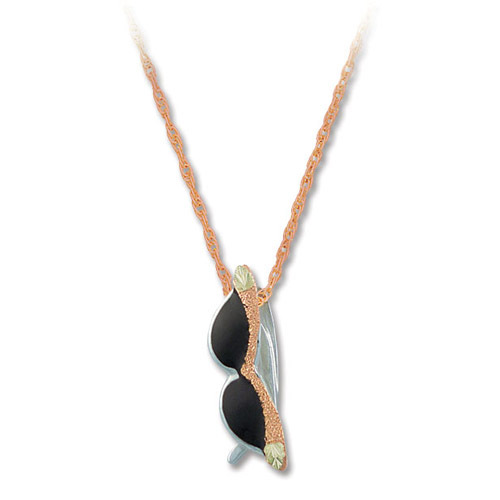 Desc: Landstrom's Black Hills Gold Rose Gold sunglasses necklace. The chain is rose gold. The sunglasses are rose gold with black enamel lenses. Green gold leaves are mounted as accents.